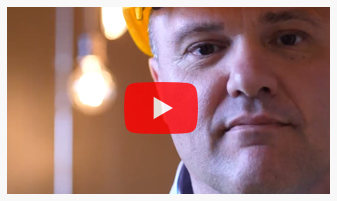 2x2 custom magnets 20 mil square corners are the smallest sized magnets that we offer. These square magnets have square cut corners, and are fit with a strong 20 mil magnet. 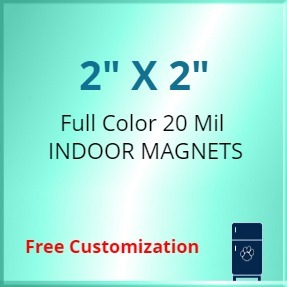 Show off your company logo or slogan with these high quality magnets! 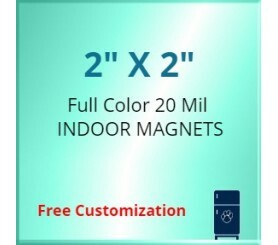 There are multiple varieties of the 2x2 inch sized magnet available in our store so be sure to take a look around. Please try size lesser than 11.875(H) x 11.25(W) or 11.25(H) x 11.875(W). Product not found in this size. Please try with another size.